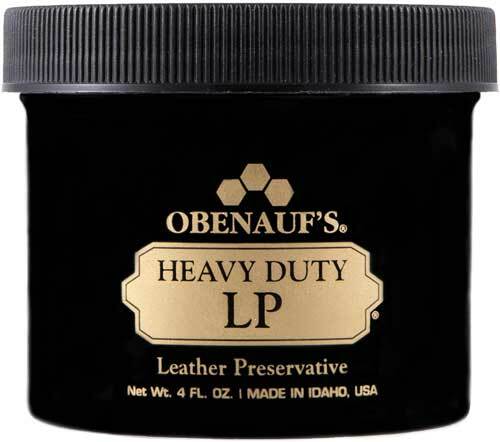 Obenauf's all-natural Heavy Duty Leather Preservative protects and preserves leather that takes a beating on a daily basis. Three natural oils are held in a beeswax/propolis suspension formula. 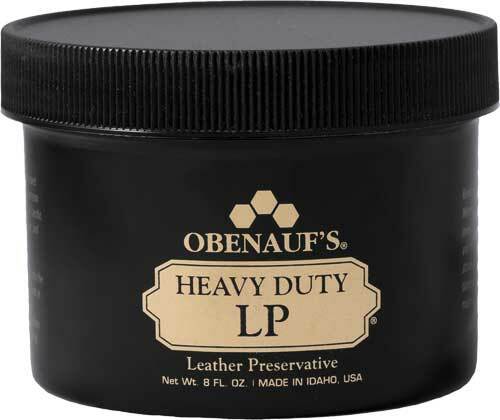 In the leather, these oils gradually seep out of this wax/resin providing a time-release lubrication to inner fibers while reinforcing the surface against scuffing. 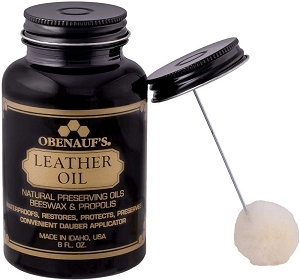 If exposed to heat or constant flexing the oils are released faster, so leather gets oiled instead of parched and cracked, yet the leather still breathes. Available in 4 oz & 8 oz container. Apply by hand as body temperature helps melt creme for best application. Allow 1 hour between treatments. Two applications better for severely wet conditions. Buff off excess.